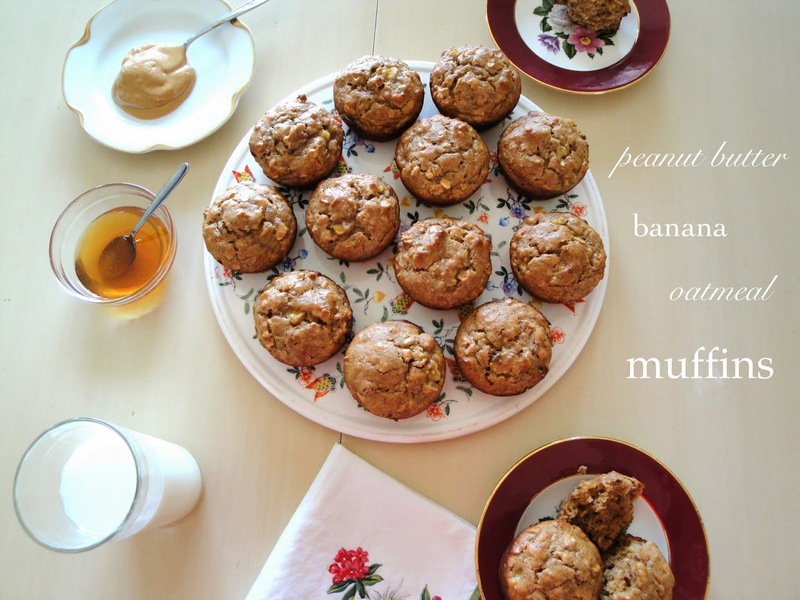 These peanut butter banana oatmeal muffins taste decadent, but are actually quite healthful. You can eat a couple (or four…oops) and not feel guilty. 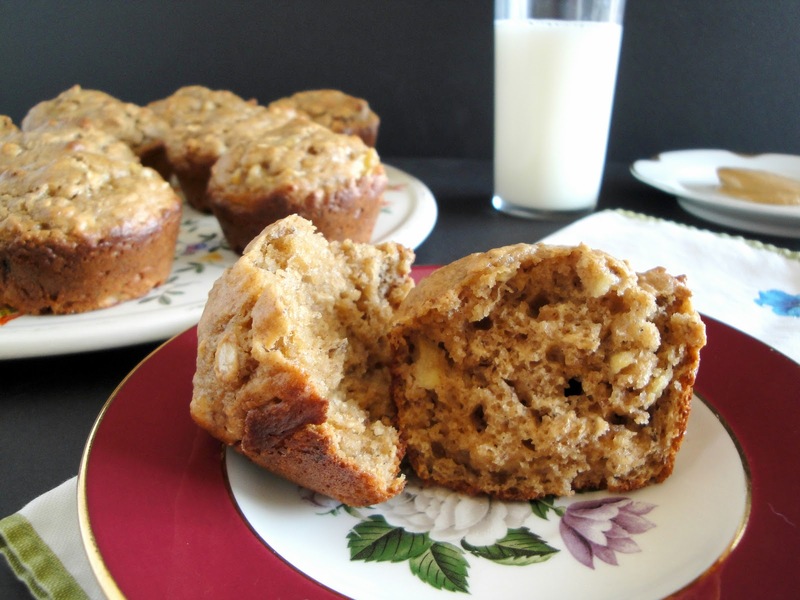 I use unsweetened applesauce, organic peanut butter that contains no sugar or hydrogenated oils, greek yogurt instead of butter or oil, white whole wheat flour, heart-healthy oats and flax seed meal, which is packed with nutrients and fiber (and was accidentally left out of the picture below). Pop these in the oven, daydream about warmer weather, and be kind to yourself…wear long skirts instead of shorts! Preheat the oven to 350 degrees. 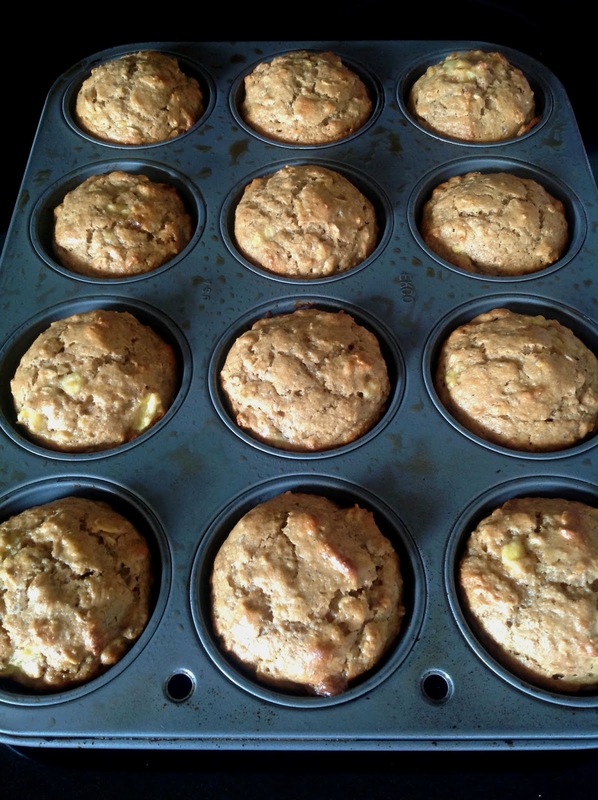 Line or grease muffin tins (enough for 18 muffins). 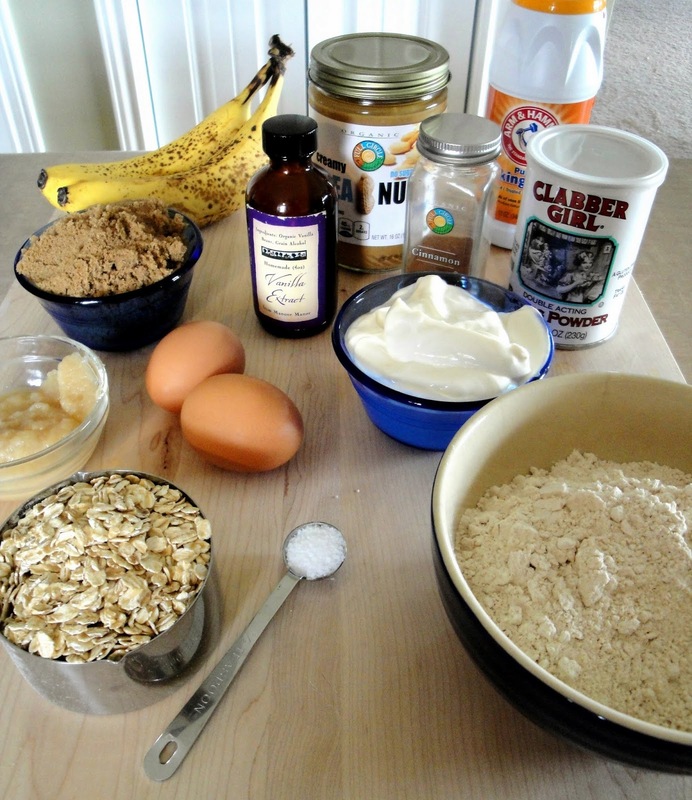 In a medium bowl, combine the flour, flax seed meal, oats, baking powder, baking soda, cinnamon and salt. In a second larger bowl, whisk together the brown sugar, yogurt, eggs, applesauce, mashed bananas, vanilla, and peanut butter. 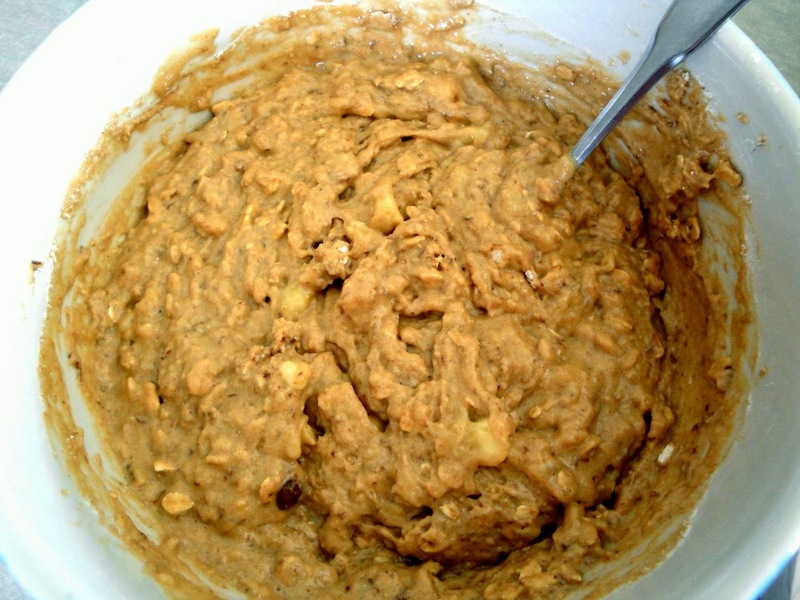 Add the dry ingredients to the wet ingredients and mix until fully combined. Spoon batter into prepared muffin cups and bake for 18 – 20 minutes, or until a knife inserted in the center comes out clean. Cool for 5 – 10 minutes in the pan, then transfer to wire racks to cool completely or serve warm with a smear of peanut butter and drizzle of honey. Enjoy!